Operators have been increasingly using condiments as differentiators, but instead of relying solely on sauces, many are using relish to transform simple dishes into standouts. Most relishes can be made in-house with just a few ingredients on hand, and some operators are already taking note of the condiment's many applications: Relish mentions are up 26.7% on Top 500 chains' appetizers over the last year, according to Technomic’s MenuMonitor. And with consumers increasingly asking for more global offerings, menuing an ethnic relish is one way to appease those diners without breaking the bank. Here are five relish types poised to pop. With African cuisines trending in 2017, more restaurants are adopting specialties from across the continent. Chakalaka, a spicy tomato-bean relish, is a staple throughout South Africa. But its basic ingredients make it easy to re-create in American kitchens: baked beans, tomatoes, onions, bell pepper, garlic, chilies and curry powder are the typical ingredients that make up this relish. Pret A Manger recently unveiled a vegan Chakalaka Wrap, featuring chakalaka, coconut yogurt, roasted butternut squash, kale and sliced red pepper rolled into a whole-grain tortilla. Jiko, an eatery at Disney’s Animal Kingdom Lodge in Orlando, Fla., menus a $19 Grilled Wild Boar Tenderloin appetizer with mealie pap (porridge), chakalaka, truffle oil and micro cilantro. Filipino cuisine is arguably one of the hottest global trends in foodservice right now, with ingredients like banana ketchup and concepts like Jollibee on the rise in the U.S. Achara, a traditional Filipino condiment, could be poised for growth with Filipino fare heating up. 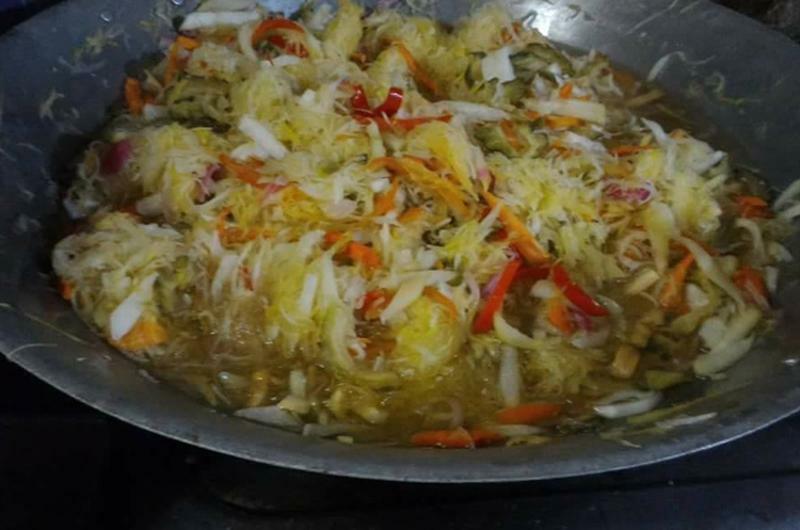 Consisting of pickled green papaya, carrots, peppers and ginger, achara is typically served as a side dish for fried or grilled foods. Toppings Tree in Santa Clara, Calif., serves its version of achara (pickled carrots and radish) as a side for $1.50 or with a variety of grilled specialties, including barbecue pork on a stick, pork chops, chicken, steak, pork belly and milkfish. Like the other relishes in this list, achara can also top foods: Adobo Shack in Brooklyn, N.Y.’s Smorgasburg market serves Filipino-inspired sliders topped with seasonal achara. 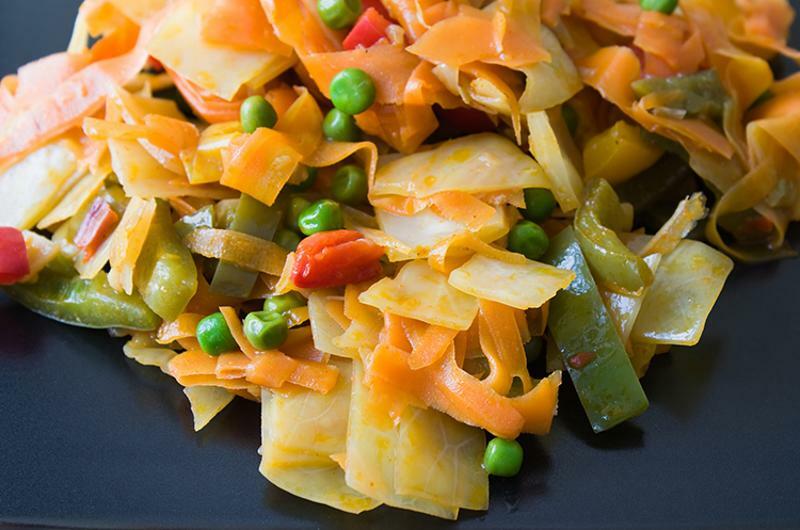 Chow-chow is relatively unknown among consumers outside of the South and Appalachia, two on-trend regions in foodservice at the moment. 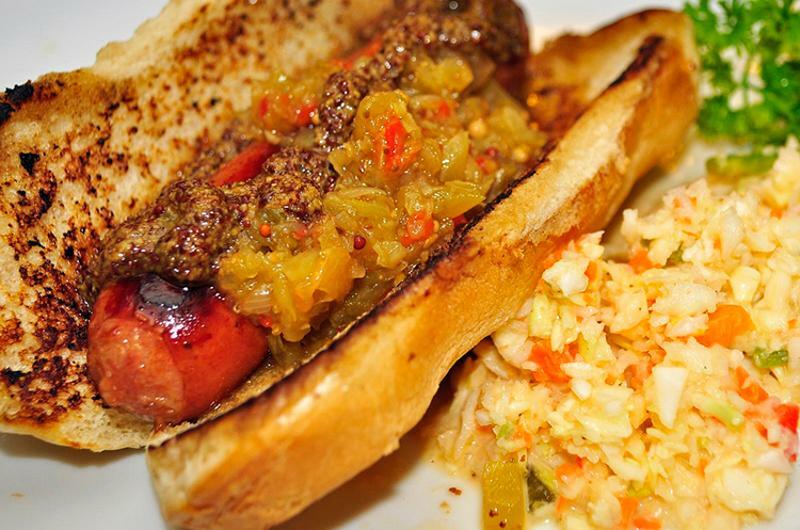 The mustard-flavored mixed-vegetable-and-pickle relish features any number of ingredients depending on the state and city, including green tomatoes, chayote, onions, beans, cabbage and peas. Toups South in New Orleans serves a $13 small plate of Smoked Lamb Leg with sweet corn chow-chow, roasted red pepper and aged sheep’s cheese. Southern chains Fatz Cafe and Full Moon Bar-B-Que both serve chow-chow as sides and sandwich toppings; the latter’s even available for purchase in local grocers, at restaurants and online. 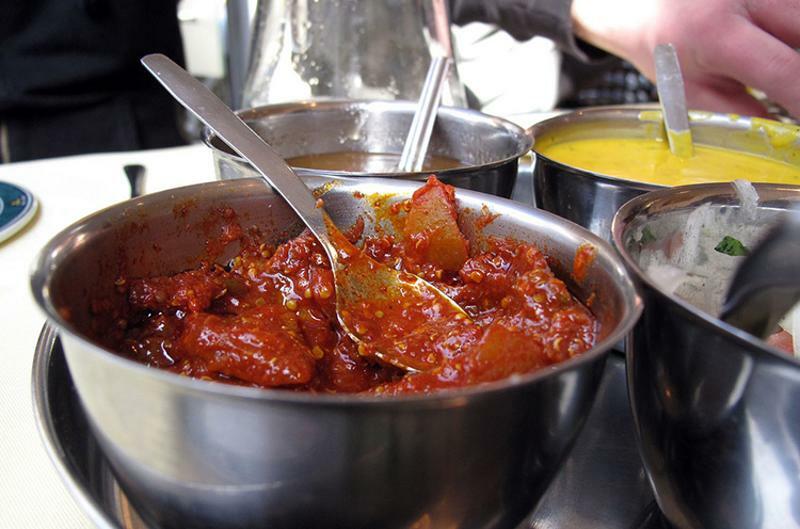 Though chutney originated in India, operators are taking the spicy condiment well beyond curries. Chutney—which typically contains fruit, vinegar, sugar and spices—can range in texture from chunky to smooth and can be highlighted on a wide range of offerings. Ruth’s Chris recently unveiled a limited-time Red Lentil & Cauliflower Soup garnished with tomato chutney in a five-course whisky dinner, while Ninety Nine Restaurants launched a Roasted Maple Pork Tenderloin served with apple-maple chutney for $13.49. 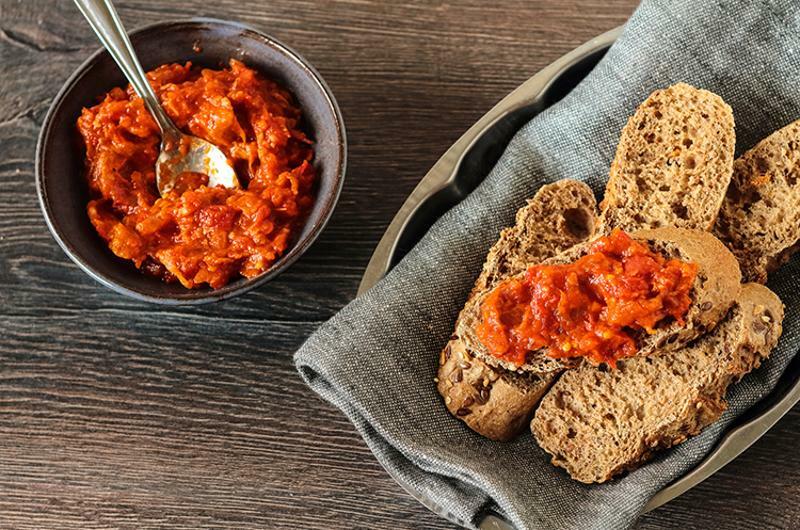 A popular cooked relish in the Balkans, Serbian-originated ajvar (pronounced "eye-var") is made from roasted sweet red peppers, eggplant, garlic, olive oil, salt, pepper and sometimes paprika. 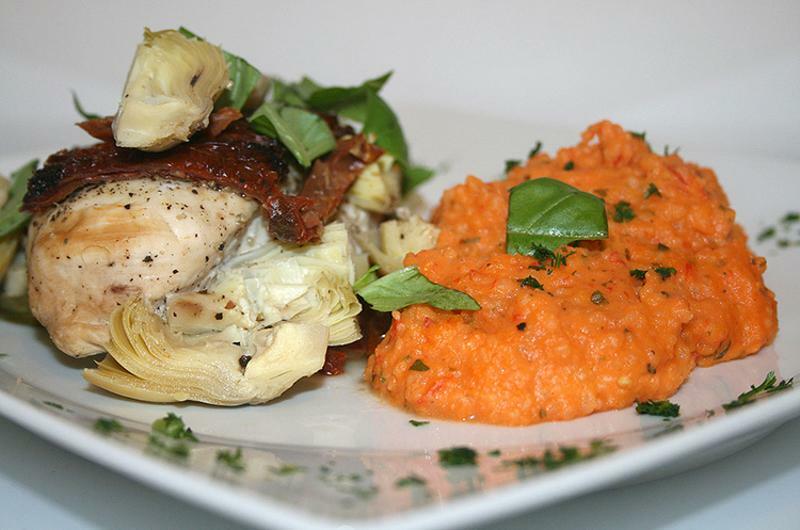 It’s typically served as an appetizer or side dish. Three-unit Ambar, based in Washington, D.C., serves ajvar as a spread by itself for $6 or in urnebes, a salad combining aged cow cheese and chili with the relish for $6. Sabur in Somerville, Mass., serves ajvar with zucchini fritters for $8.